Chef's special sauced served with hot plate. Tender of steak slice, marinated in Korean style, sauteed with red bell pepper, white onions, carrots strips, green onion, and a touch of garlic & ginger. 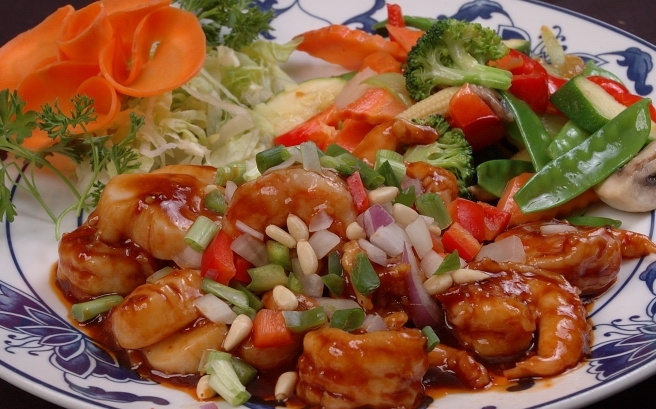 Jumbo Shrimp, scallops, white meat chicken in szechuan sauce variation, ginger, pepper corns are use to create a sumptuously flavored brown sauce to which peanuts, hot chille pepper & diced vegetables. 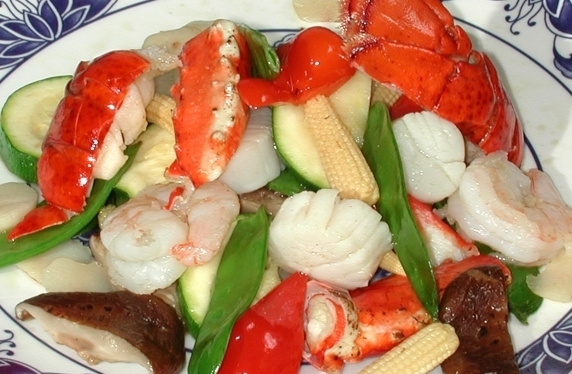 Lobster tail, jumbo shrimp, king crab legs & fresh scallops with fresh vegetables in savory wine sauce. 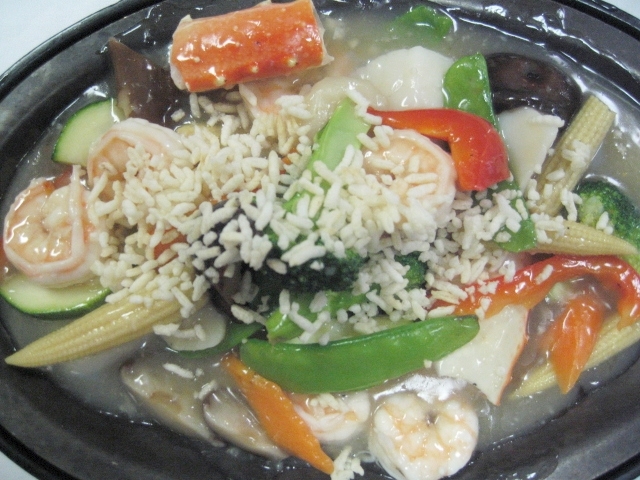 Jumbo shrimp, scallops with fresh vegetables in a taste of white cream wine sauce. 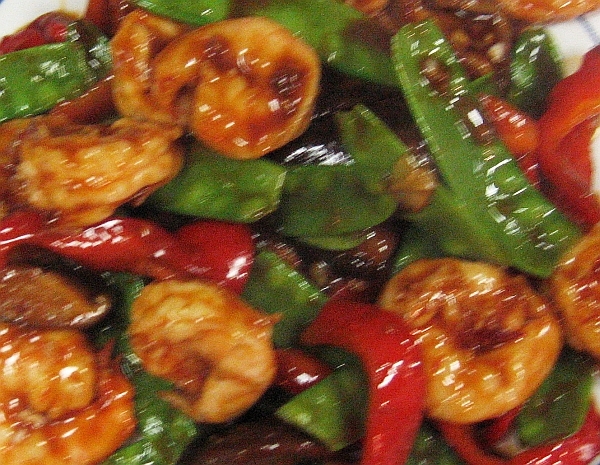 Jumbo shrimp sauteed with black mushrooms, red bell pepper, snow peas in a taste our chef's spicy sauce. Fresh scallops, jumbo shrimp in garlic pepper sauce with pine nuts. Served with fresh steam vegetables. 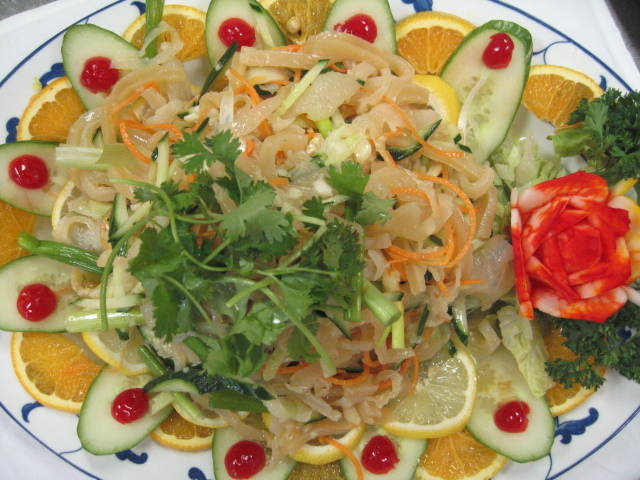 Tender of fresh, callamari with snow peas, red bell pepper, zucchini, onion sauteed with light brown sauce. 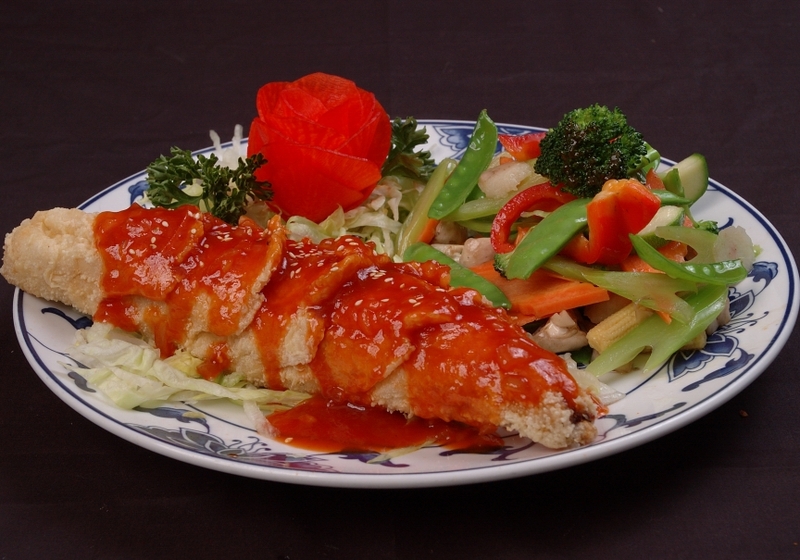 Jumbo shrimp lightly breaded, cooked with rock salt pepper sauce, served with fresh steam vegetables. Jumbo shrimp, fresh scallops, king crab legs with snow peas, shitake mushrooms, waterchestnuts sliced, baby corn, red bell pepper, zuchini with chef's special taste of ginger & garlic wine souce. Served with golden light brown rice on a hot plate. 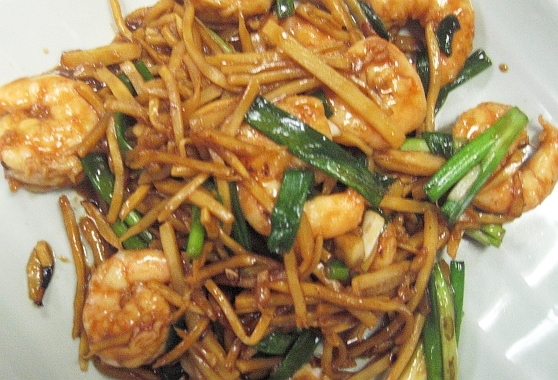 Prawns sautee with fresh greated ginger & sprinkle with green onion, bamboo shoot strips, served in a tangy ginger sauce. A tantalizing cantonese combination of stif friend chicken breast, prawns, king crab legs, snow peas, baby corn, waterchestnuts and carrots in a white wine sauce. 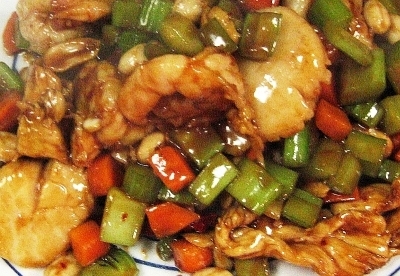 Tender shrimp, sliced beef & chicken breast are carefully stir fried in sesame oil with scallions. A perfect meld of flowers. Lightly battered jumbo shrimp combined with scallion in a mild spiced, pungent mandarin sauce, served with broccoli. 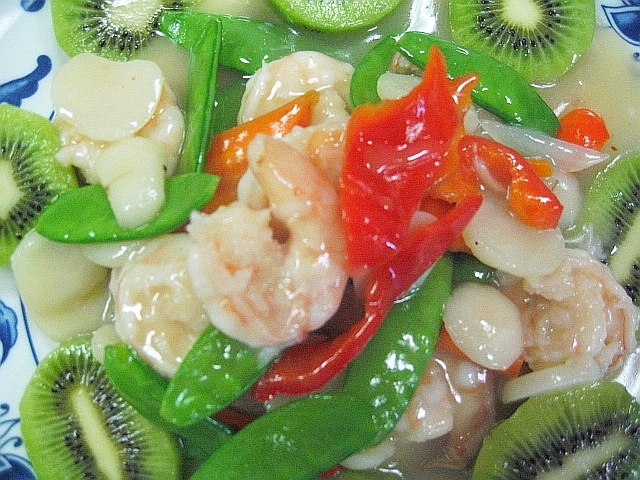 Jumbo shrimp with broccoli, snow peas, red bell pepper, shiitake mushrooms, waterchestnuts sauteed with a tasty wine creamy sauce. General chunks of chicken, lightly breaded and deep fried combined with Chinese chili peppers and broccoli, then glazed with a mouth spicy spicy garlic sauce, and touched with steamed broccoli. 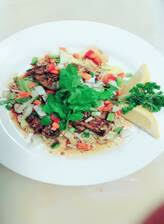 Shrimp, beef and chicken with vegetables served on a bed of crispy fried noodles in brown sauce. 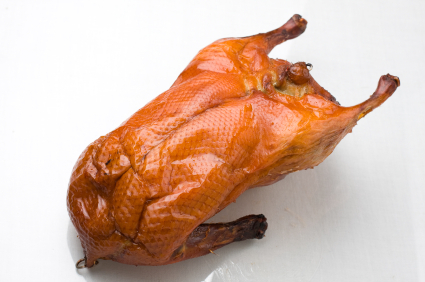 Slow-roasted duck, gently sauteed with sliced green onions, simply delicious. 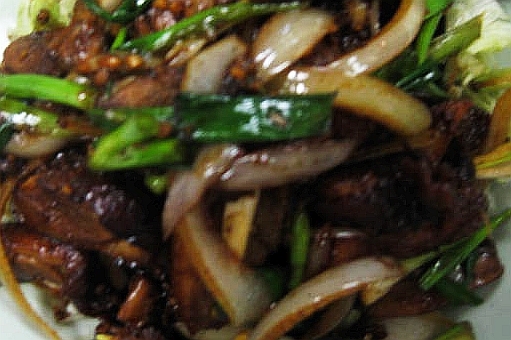 Tender of lamb with green and yellow onions and fresh garlic. Tender sliced lamb sauteed with a spicy hot sauce. 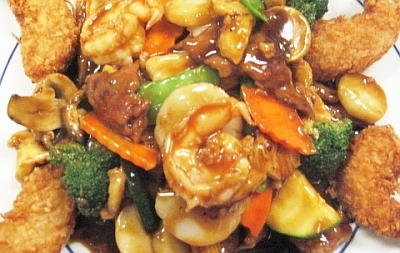 A harvest of land and sea combined in one superb dish ... succulent scallops, tender chichken, shrimp & beef mixed with a delightful combination of oriental vegetables and surrounded with seven golden coconut shrimp. Shrimp, beef and chicken stewed in a special hot pot. Slices of duck lightly battered then deep fried and sauteed with szechuan sauce. To allow us time to prepare this sumptuous dish in the authentic, classical manner, please place your order 24 hours in advance. 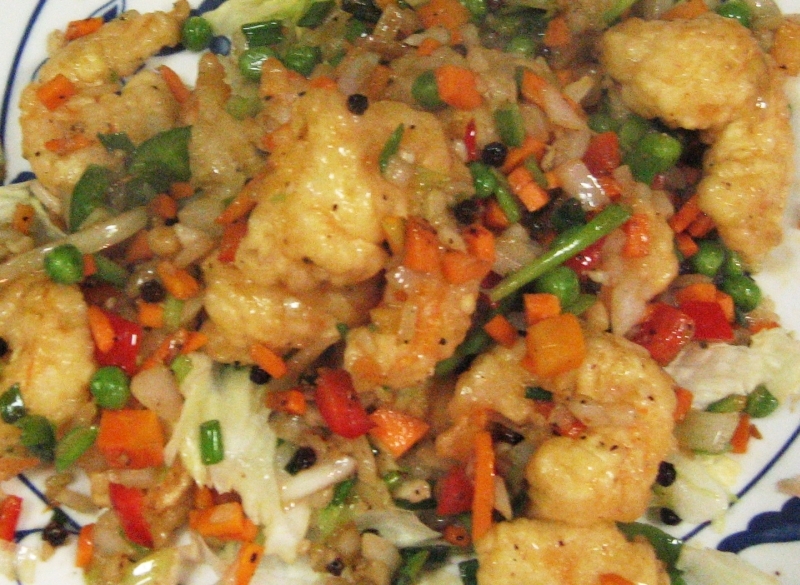 Your choice of ginger & scallion sauce, black bean sauce, garlic pepper sauce, cantonese style. Lightly battered fresh walleye, served with fresh steam vegetables in chef's special sauce.